Even as a government-mandated and owned airline, Etihad Airways has frequently exceeded expectations despite the many obstacles it faces. While the airline has found itself in debt over the oil price plummet and some insolvent airline investments, it’s nonetheless continued to soldier on, raking in various partnerships and new offerings. 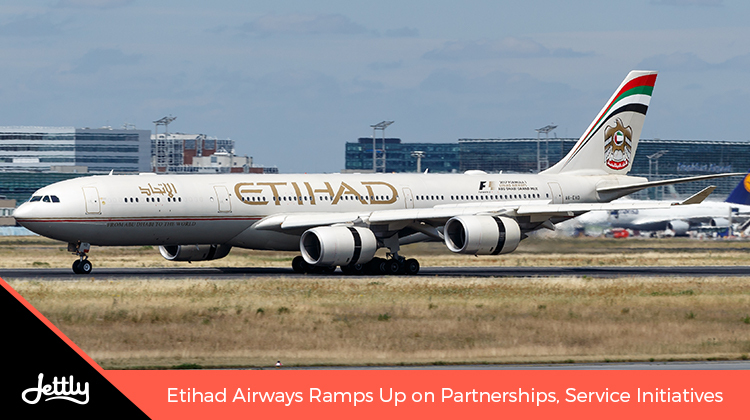 Among the other services Etihad Airways currently provides, some of its latest offerings include specialized services for those with medical needs, as well as a WhatsApp service for quicker communications. Arabian Business reports that the medical services will be the first of its kind in the region, in a sense that they will are the first to be offered by an airline. The first is the ability to get medical clearance on the spot. After consulting with your attending physician, one could request for a doctor on Etihad’s medical team to evaluate them, where all forms and assessments will be conducted on-site. The recommendation will be given within the day. The second service is the in-flight nurse, who can accommodate such guests with special needs. Etihad particularly notes that each member of the medical team is a qualified individual in aviation and transport service. 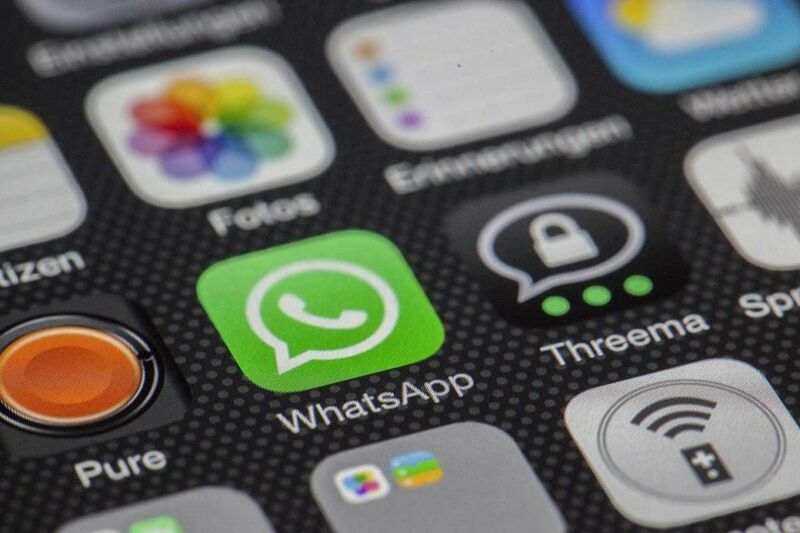 The WhatsApp service, on the other hand, will be available for Etihad Airways’ premium passengers at the Abu Dhabi International Airport to talk with customer service representatives about any booking or flight concerns. Aside from this, you can also get updates on any possible delays or gate changes through the service so one could adjust their schedule accordingly. Keeping to its commitment to luxury travel, Etihad partnered up with both Acqua di Parma and Warner Bros. World Abu Dhabi. 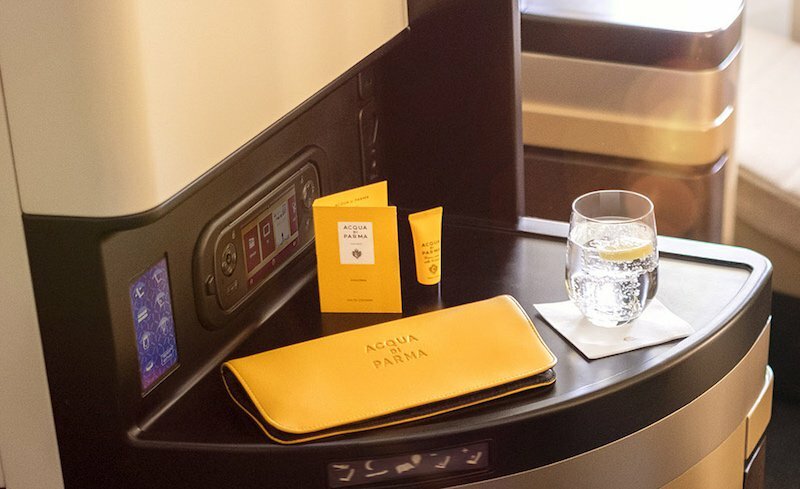 On the Acqua di Parma collaboration, WWD notes that the lifestyle brand will provide the airline with an amenity bag line, which will be available for guests flying business and first class at The Residence, the airline’s “most luxurious service.” Aside from the stylish bags, guests will find various Acqua di Parma products inside the pouches such as lotion, shampoo, shower gel, hand cream, and conditioner. Practical yet elegant, it’s the perfect for those jet setters looking for luxury despite their hectic schedules. The Warner Bros. partnership, on the other hand, will focus more on “brand partnership, marketing, in-flight programming, and travel trade support,” according to Travel Trade Weekly. Warner Bros. World Abu Dhabi, after all, is the UAE’s latest theme park and the world’s “first Warner Bros. branded theme park,” the collaboration will hopefully help further bolster the Emirates as a premier tourist attraction. Airlines are always on the news, and rightfully so—when you’re a frequent flyer, you might find yourself on the lookout for the most affordable yet comfortable flights, especially if you find yourself in for the long haul. Luckily, with Jettly, you can get all this and more if you sign up for a membership at our website. Be a member now.